Handwashing is one of the easiest and most effective ways of keeping disease away. It is also the least expensive way of staying disease free. Study after study over the years have proved that washing hands properly is the easiest way to stay healthy. Most parents are aware of this. And if you have children – I have no doubt that you shout out at least one of these reminders to your child almost every hour of every day. Unfortunately however – despite these diligent reminders from parents and the resultant hand washing by the children – diseases caused by the lack of hand washing – happen all the time – even in educated affluent families. Why do these diseases still happen? Not because children don’t wash their hands, but because the myths and misconceptions about hand washing ensure that the hand washing is incomplete and inadequate. Parents know that hand washing is good for their children. And in their enthusiasm to do what is best for their children – they believe all the myths and stories that come their way from various sources. Although the information is supposed to improve hand washing – it often ends up doing the opposite because it is incomplete information. 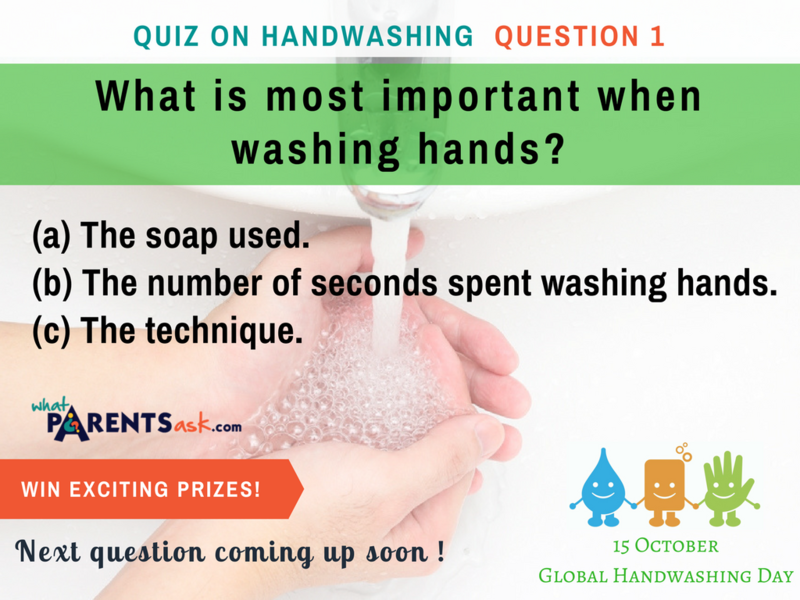 I invite you to test your knowledge on hand washing with this quiz that we held on Global Handwashing Day this year. What is most important when washing hands? The correct answer is c) The technique and this is the reason. You can any soap you like to wash your hands. The only things you really require from the soap is – that it should lather well with very little water and produce a large amount of foam or bubbles. The function of the soap is basically to cut through the grease that is naturally present on the hands. Once the soap cuts through the grease – the water easily reaches the dirt on the hand and can wash off the dirt easily. The number of seconds spent washing hands is NOT important either. If your child is just rubbing his/her palms together and calling it hand washing – no matter how many minutes he spends doing it – it is still going to be absolutely ineffective and useless. 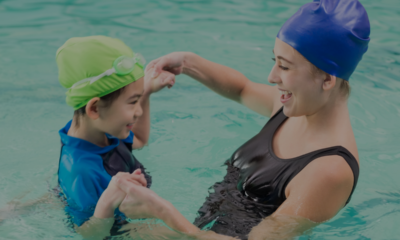 Children usually like playing with soap and water and many times may keep washing their hands for a long time because they are enjoying themselves. But very often at the end of all that hand washing – the hands may still be dirty. The right answer is “the technique”. The technique used to wash the hands is the most critical factor because the hands are not easy to wash. The hands have a very complicated structure with hundreds of nooks and crannies and creases and crevices. It is extremely important to ensure that every surface of every finger of the hand is cleaned out when the hands are washed. It is also very important to clean out every crease of the hand. Cleaning the hands like this – is not an easy task and children who have not been taught how to wash their hands correctly – may never figure out how to do this themselves. It is therefore most important to realize that when washing hands –even if you use the best soap in the world- even if you wash your hands for an eternity – if you finally do not use the correct technique to wash the hands – the hands will still not be clean. 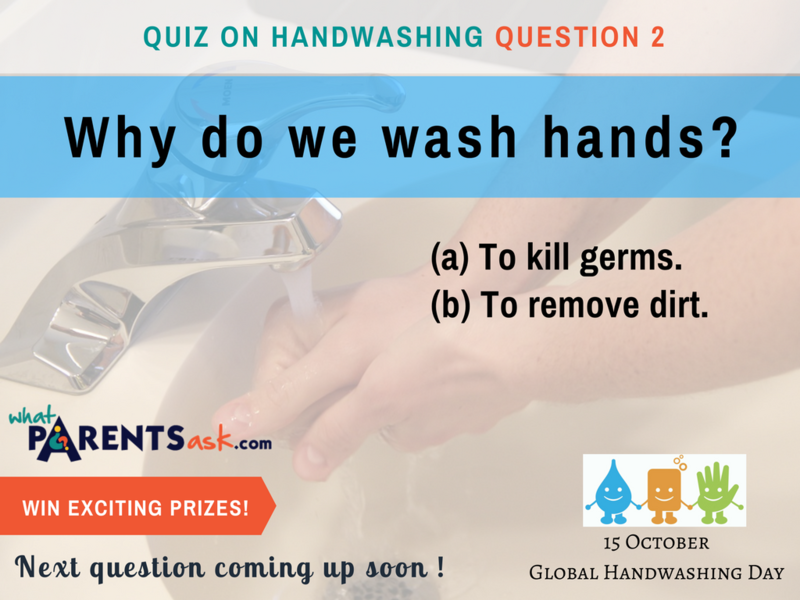 Question 2 of the hand washing quiz. Why do we wash hands? The majority of the people who participated in the quiz answered a) To kill germs. But they were wrong. The purpose of washing hands is never to kill germs. All we want to do is remove the dirt on the hands. Once the dirt has been washed off the hands – the germs that are hiding in the dirt get washed away too. When the germs are no longer present on the hand they can no longer harm us in any way. When the hands are washed correctly – they will be dirt free and germ free. Aiming at killing germs while washing hands is not a good idea because when we want to kill germs we use chemicals that are capable of killing germs. We expect the chemicals to kill only those germs that are bad for us – but the chemicals end up cleaning all the germs on our hands. And this is not such a good thing. Our skin has millions of germs on it. These germs are part of our skin and we are incomplete without them. These germs protect our skin and keep us healthy. When we think of hand washing as an activity in which we are trying to kill germs – we end up doing more harm than good because we kill the germs that are guarding us and protecting us from infections. Always remember – focus on the technique you are using to clean the hands. When the hands are washed correctly – there will be no dirt – and as a result of that – there will be no germs either. Global handwashing day When should you use a hand sanitizer? When should you use a hand sanitizer? Although a lot of people use hand sanitizer all the time – the third answer – that says “all the time” is definitely not the correct answer. The answer in fact is – a) When the hands are clean. Hand sanitizers are typically alcohol based preparations and they are able to perform their function of killing germs – only when they are used on clean hands. Which means that they work only when the hands have already been washed with soap and water. Do we need to use them in our everyday lives? The answer is – No. As we learnt from the answer to the previous question – killing germs is not necessary at all. It is more than enough if we wash the hands correctly and remove all the dirt. Hand sanitizers are typically used in hospital settings because in hospitals – because of the number of sick patients around. In hospital settings – there are a large number of disease-causing germs everywhere and so it is important to kill these germs with a sanitizer so that the doctors and nurse do not carry germs from one sick patient to another. Outside the hospital – the germs typically present in our surroundings are harmless germs that may even be good for us. It makes no sense to use a sanitizer to kill them. When we use a sanitizer because we do not have water available – we may be fooling ourselves into believing that we are absolutely clean and safe from germs. That may not be the case at all. To keep your child healthy – all you will need to do is – to teach your child to wash his/her hands correctly with soap and water. Knowledge is power. Know what is right – to stay safe and healthy. That was useful, thanks for sharing this.